The debate between hands-on and digital has been going on for long, if not a whole decade as of now. And while we at INKUISITIVE fail to identify a clear winner, we surely realize that there is a certain charm to anything produced hands on which will never be found in its digital counterpart. With the advent of computers and technology, architecture- both the education and practice of it has increasingly confined itself to air-conditioned indoors. The death blow to the nail was planted by BIM softwares; a major share of architects now know how to build in the virtual world, but has negligible knowledge of putting a building together in reality. The Build & Evolve hands-on workshop was designed as a reconnect. INKUISITIVE launched a unique four-day session in collaboration with Consortium Architects in which participants were expected to divulge into practical experiences and generate outcome by getting their hands dirty. 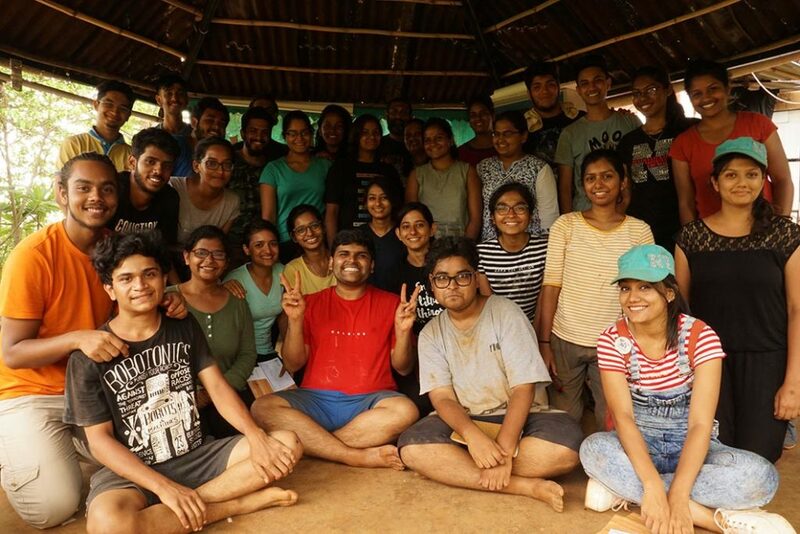 25 participants dived heads on into an immersive experience of confidence boost-up, self-exploration, and team spirit development in the serene setup of Parnakuthi, Village Palase amidst the beautiful setting of Lavasa, Pune. The participants explored alternative techniques of vernacular construction and experimental low-cost architecture under the experienced mentorship of Ar. Satyendra Bhagat, Mr. Darshan Joshi, Ar. Sayali Andhare and Ar. Yogesh Khurhade. 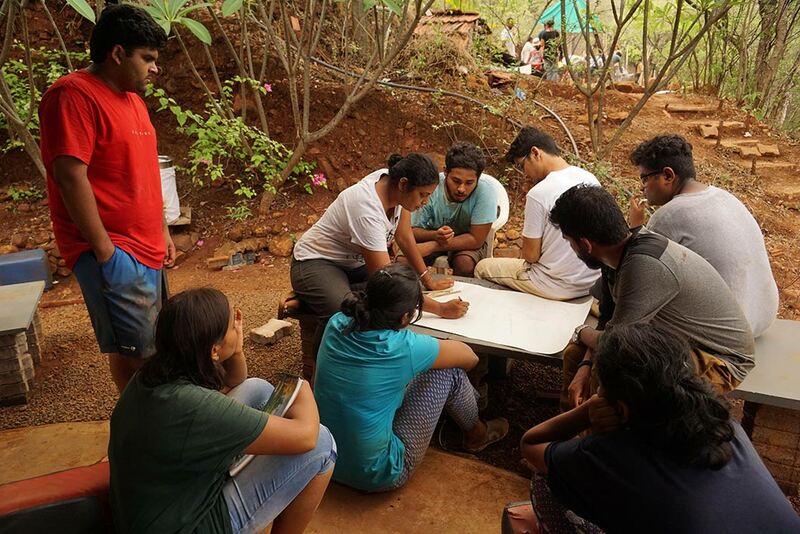 The motive was to introduce participants to the real-life experience of alternative vernacular construction and instill in them the importance of on-site work by giving them an intentional break from arduous and in-house studio sessions. 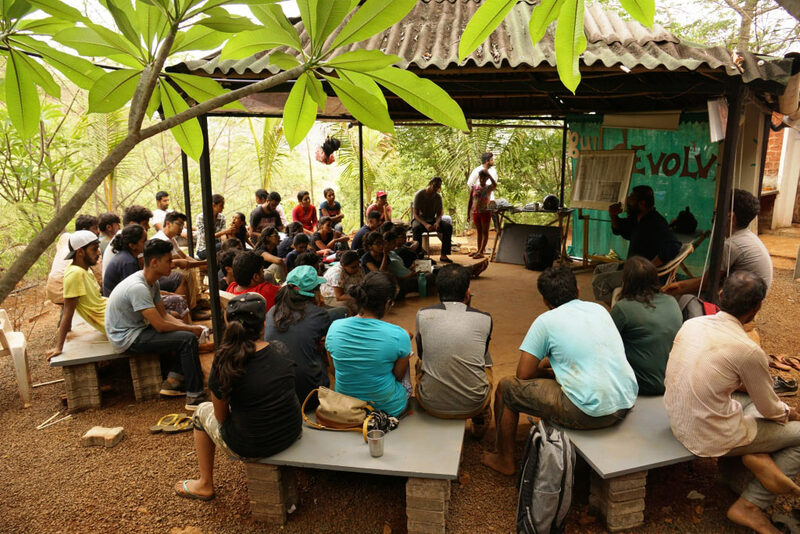 The program encompassed an overall development for the participants by incorporating adventure activities like tug-of-war and birdwatching into the main framework of architectural exploration. 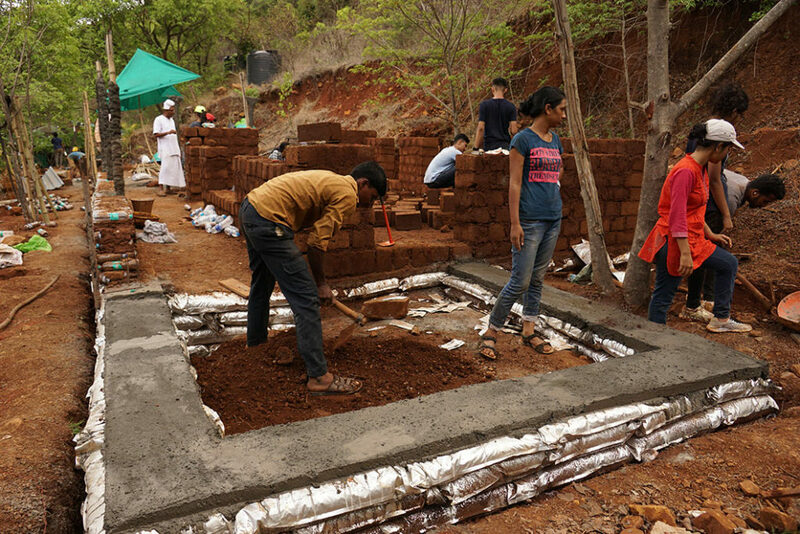 The primary objective was to impart knowledge to the participants about the usage and applicability of sustainable and DIY techniques in vernacular earth architecture. 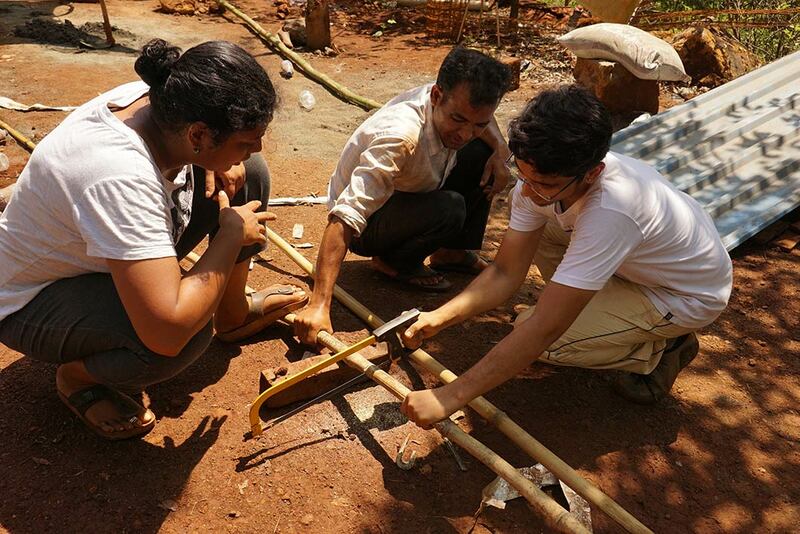 This paired with the do-it-yourself module of learning ensured that the participants gain considerable confidence in dealing with offbeat materials and methods of construction. The camp kick-started with some training and exercise to push the physical and mental limits of the participants; the importance of physical will in a hands-on session is primal. Having developed a strong team spirit and bond of confidence, the team then proceeded to engage themselves in building a new structure involving local materials and new methods of construction. Building with natural materials available locally can be rewarding as well as challenging at the same time. 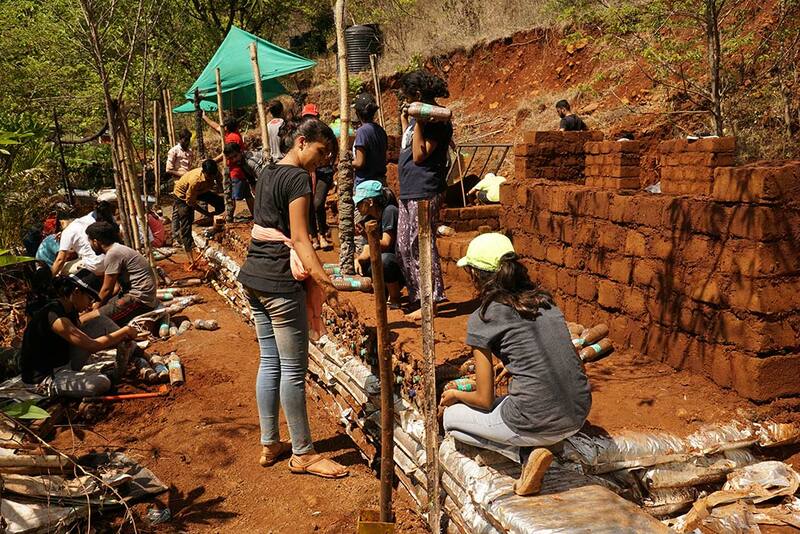 Anticipating the difficulties that participants may face, in-depth discussions and theory sessions were organized wherein the participants learned about the theories of constructing buildings with Ferro cement, plastic bottles as well as self-made mud blocks. A basic lecture on the modern day implication and benefits of the proposed technique was given followed by intense theory class by the mentors about construction details including sketches of joineries, elements of construction and flowchart of the proposed sequence of activities. 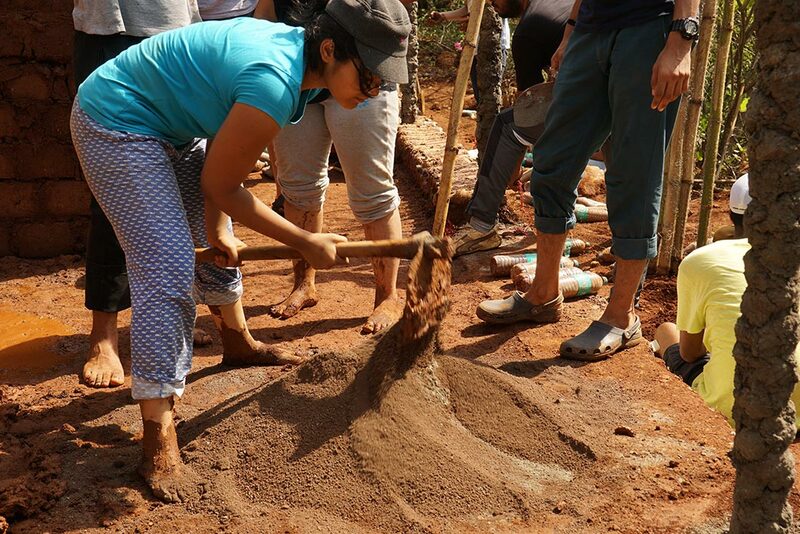 Once the action started, participants willfully indulged into the building activity; from preparing the mud by sieving it out, proportionating ingredients and mixing them using shovels to preparing the plinth with plastic bottles stuffed with mud base, the enthusiasm was high. 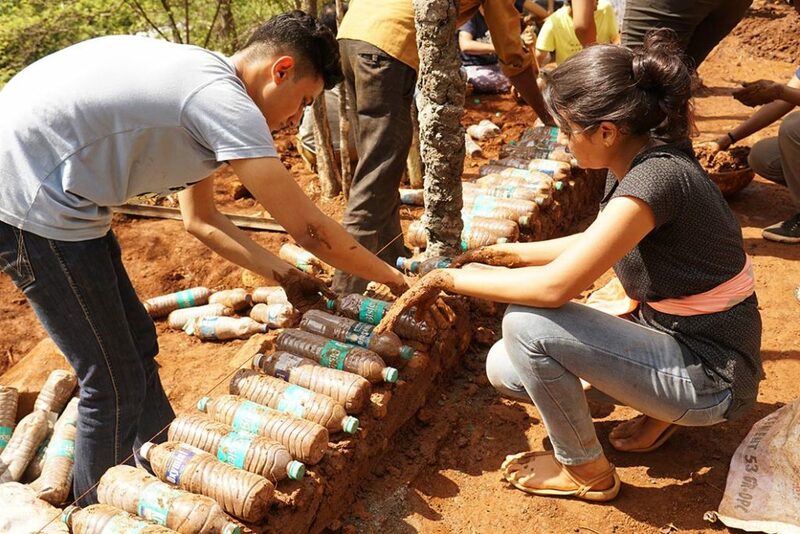 Under constant supervision of the mentors, they successfully learned the technology of constructing a basic structure using adobe, wattle, and daub with the usage of bamboo and plastic bottles as structural elements. Sustainability was the primary focus, and this led to the building materials being used in their basic occurring state, with nominal or zero processing. The foundation of the building was built using Ferro cement prior to the commencement of the workshop, and the detailed technique of the same was explained to participants through a video session conducted by Ferro cement expert Mr. Hemant Vaidya. Lavasa being an abode to a good weight of fauna, the participants also engaged in bird watching activities during their stay. The stargazing activity, unfortunately, got called off owing to bad weather conditions. However, to compensate for this loss, a special herpetology session was arranged! For the unaware, herpetology is the study of amphibians, especially snakes and frogs. The place seemingly had an abundance of these slimy creatures, and a local herpetologist was invited to host a small interactive session with snakes! 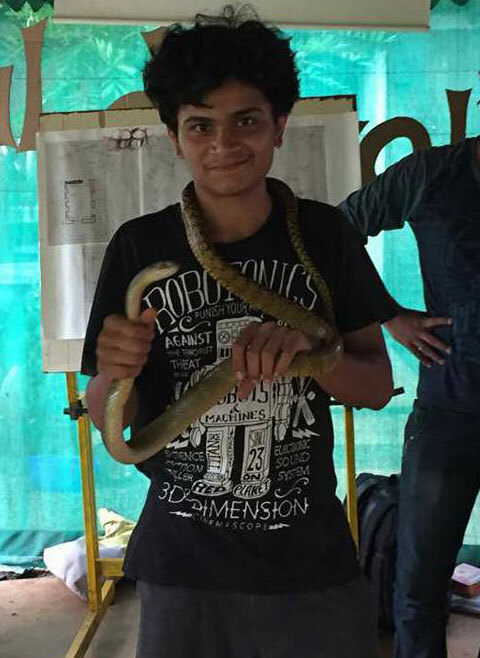 Participants came to know about the various types of snakes, and most importantly, how to tell a poisonous one apart. 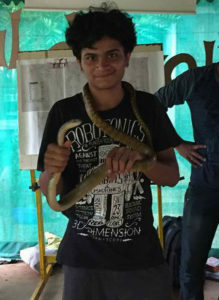 They were also given a basic knowledge on how to differentiate snake bite marks and what to do in case of a bite. While it is not related to the practice of architecture, chance encounters like these enhance your skill sets and makes you more equipped in case of a mishap. What started as a reconnect came out to be a driving force towards a much larger goal. Bridging this disconnect between the studio and the reality was achieved, and the closely knit structure also carefully helped the participants to believe in themselves and gain the confidence about materials they have never used or felt previously. 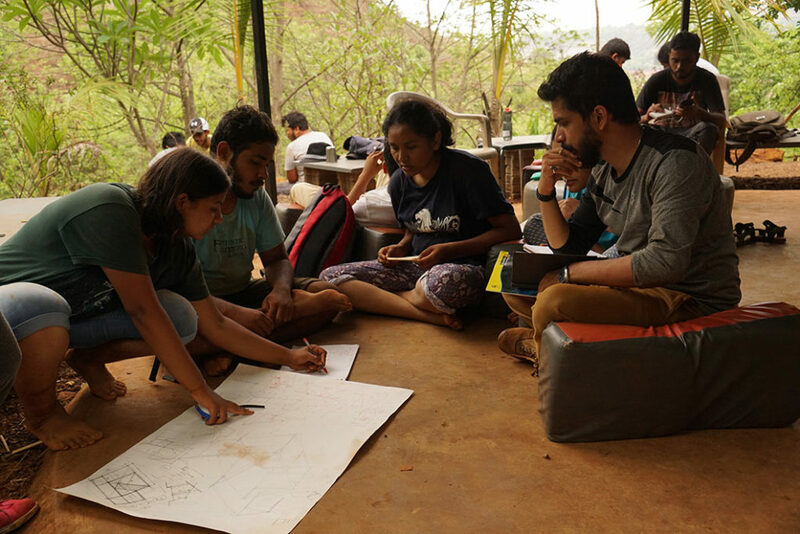 Having completed a successful venture, we at team INKUISITIVE stride forward to present the student fraternity with innovative methods of looking at architectural education through hands-on experiences and diverse activities curated around travel and adventure. Until the next time, cheers! About the Author: Shubhayan Modak is a graduate architect from Dept. of Architecture, Town & Regional Planning, Indian Institute of Engineering Science & Technology, Shibpur. He is passionate about visiting places and exploring the local rituals, cultures, traditions, and people and believes that buildings evolve hand in hand over time with its users. For him, perspectives and cultures take the physical shape of architecture. He has served as the convenor & editor-in-chief of Indian Arch ’16, the annual student’s journal of National Association of Students of Architecture, India. Being someone who has always supported peace and prosperity over the likes of war, bullets, and bloodshed, he chose to design a Siachen High Altitude Research Facility for his UG thesis as a means to stop the ceasefire situation atop the Siachen Glacier. Currently working as a design journalist based in Kolkata, he constantly motivates architects and architecture students to write. He is the winner of the A3F Architectural Journalism Award 2017 and is the co-founder of Sthapatya, a journalism platform which uses local language as a means to increase the interaction between the architectural fraternity and the common populace in the country. He can be contacted here. © Copyrights 2017 We are Inkuisitive, all rights reserved.